BJP president Amit Shah accused the Bhupesh Baghel government in Chhattisgarh of duping farmers by only waiving their short-term loans, as against the Congress’s promise of writing off entire farm loan. 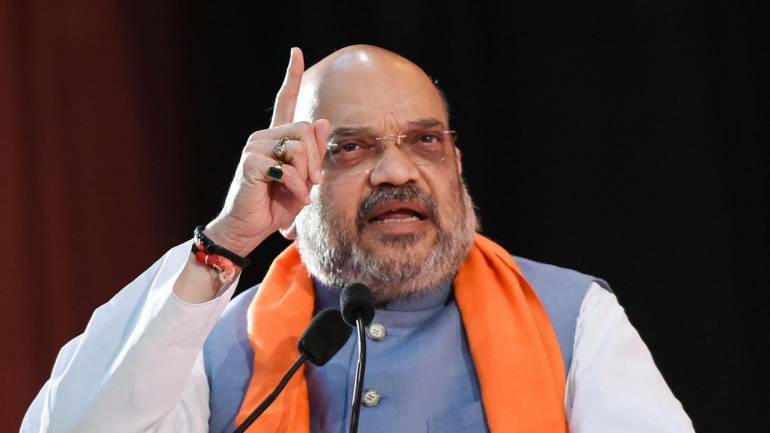 Shah also slammed the government over its decision to withdrawn the general consent accorded to the CBI to probe cases in the state, and also for pulling out of the Ayushman Bharat scheme. He was addressing a convention of party workers here. “The Congress has duped the farmers. The party had promised to waive their entire farm loan, but it wrote off only short-term loans and that too not completely,” Shah said. “Rahul baba had announced a hike in paddy procurement prices, but now they are sweating in cold. The condition is that the government has to take loans from the Reserve Bank of India for paddy procurement,” he added. On the liquor ban promise that the Congress had made in its assembly election manifesto, Shah said the party was now saying it was a complicated task. “If it was a not an easy task, why did they promise it?” he asked. He also slammed state government for rechristening the schemes named after Pt Deendayal Upadhyay. “Our government never changed the names of the projects named after former prime ministers Jawaharlal Nehru, Indira Gandhi and Rajiv Gandhi. But after the Congress came to power in the state, it rechristened schemes named after Pt Deendayal Upadhyay. This kind of act should not be done in public life,” he added. Shah said the BJP was the only party in which a worker sitting in the last line can rise to become the party chief. He asked workers to ensure that the BJP wins all the 11 Lok Sabha seats in the state so that the Modi dispensation continues to remain in power. This was Shah’s first visit to the state after his party suffered a massive drubbing in the November assembly election and lost power after 15 years. In the 2014 Lok Sabha polls, the BJP had won 10 out of the 11 seats in the state.